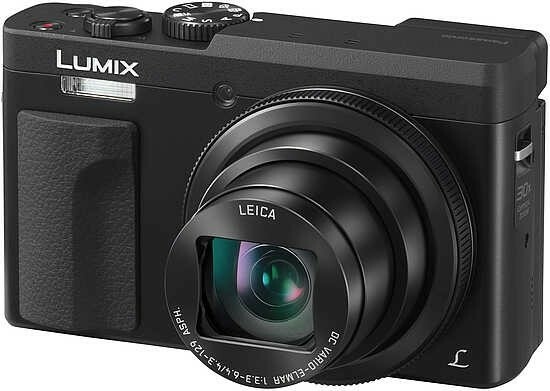 Panasonic’s latest superzoom travel compact camera, the Lumix DC-TZ90 (also known as the Panasonic Lumix DC-ZS70), follows on from last year’s TZ80 to bring a 30x optical zoom (24-720mm equivalent) combined with a 1/2.3-inch 20.3 megapixel sensor. The Panasonic Lumix DC-TZ90 also features a range of other interesting features, including 4K Photo and Video, a tilting-touch sensitive screen, an inbuilt viewfinder and both raw format and full manual control. There are a number of travel compacts currently on the market, with the closest competitor for the TZ90 probably being the Canon Powershot SX730. 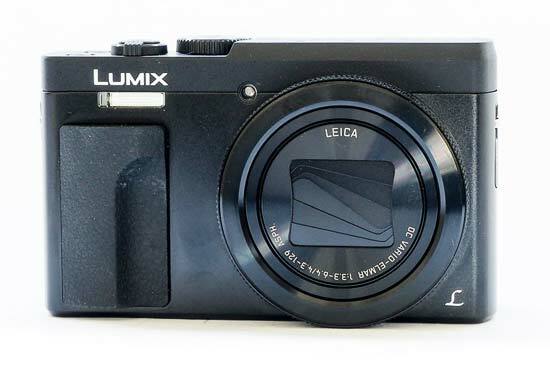 The Panasonic Lumix DC-TZ90 / DC-ZS70 retails for £399 / $449. In terms of differences between the Panasonic Lumix DC-TZ90 and the previous TZ80, the key new update is the tilting screen which is useful for taking selfies, as well as shooting from high angles. Panasonic has managed to keep this screen pretty slim so the overall size of the camera is just a couple of millimetres thicker - you’d be hard pushed to spot the difference even when the two cameras are sitting next to each other. That said, the Panasonic TZ90 is not quite an “every” pocket camera - if you have reasonably tight trousers, you might struggle with the TZ90, but a loose jean, and certainly a jacket, will accommodate. It’s not surprising that the compact isn’t particularly thin, considering it is housing a 30x optical zoom. This manages to retract almost completely inside the camera housing - an impressive feat, but this means that it takes around a second for the camera to be ready to shoot from being switched on. If you’re likely to be taking a lot of photos in quick succession, you may want to leave the camera switched on. On the front of the Panasonic Lumix DC-TZ90 is a rubberised grip to help it feel comfortable in your hand - you can use it to hold onto the camera while your forefinger rests on the top of the camera over the shutter release. The top of the camera also sees a zoom switch around the shutter release, which feels reasonably sturdy. There’s also the on/off button, and a video record button. Unfortunately because the video record button is roughly the same size as the on/off button, it can be quite easy to confuse the two if you’re not looking properly, leading to the odd accidental video on occasion. A mode dial lets you choose between the different exposure modes on offer for the Panasonic Lumix DC-TZ90. There’s full manual mode, as well as semi-automatic options like aperture priority and shutter priority. There’s also an automatic option, creative control mode, scene modes and panoramic option to choose from. You’ll also see a mode labelled “C”, which allows you to save a group of custom settings and can be useful if you often find yourself shooting one type of subject (for example low light). Moving to the back of the Panasonic Lumix TZ90 and all of the buttons here are grouped on the right hand side, making them easy to reach with your thumb when you’re using the camera one-handed. There’s quite a variety of different buttons here, four of which can be customised to control different settings from their default setting. 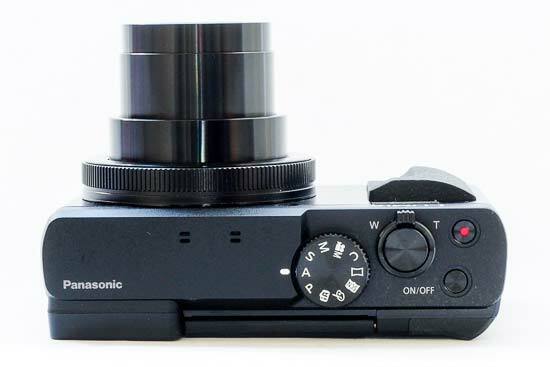 There’s a button for directly accessing the Panasonic TZ90’s 4K Photo Modes. 4K Photo is available on all new models from Panasonic, so you may have already come across it before. In a nutshell, the mode means you can extract a still from 4K video which records at 30fps. That makes it useful for action photography - or more likely for consumers, things like children and pet photography, basically anything which is likely to move. There are three modes to choose from; 4K Burst means the camera will record 4K for as long as you hold the shutter release down; 4K Burst (S/S) means 4K will start recording when you press the shutter release, and stop again when you press it a second time; while 4K Pre-Burst will shoot two seconds of action, one before you press the shutter release and one after - this will result in 60 frames to choose from. You can scroll through the frames captured on the camera directly on the screen, tapping to save the one which shows the definitive action. Another function which makes use of 4K video is Post Focus, which also has its own button. You can use this to take a photo, and then change the focus point afterwards. This works by recording a 4K video, with each of the frames using a different focus point. You can also Focus Stack using this method. How often you actually use something like this is debatable, but it’s a fun party trick the TZ90 can offer none-the-less. The other buttons you find on the back of the Panasonic Lumix DC-TZ90 include a playback button, a display button and a button to access the quick menu. The quick menu is very useful for giving you speedy access to different settings you’re likely to want to change regularly, such as white balance or ISO. There’s also a scrolling dial which doubles up as a four-way navigational pad. Each of the directional keys has a function assigned to it - up accesses exposure compensation, left is for activating macro focusing, down is for changing the drive mode and right is for activating the different flash modes. Note that you can’t use the flash if you’re shooting in silent mode (which is activated via the main menu). In the middle of the four-way pad is a button which can be used to access the main menu, as well as acting as a “set” button when you need to confirm a setting. The scrolling dial itself can be used for a variety of different functions, including changing aperture when shooting in aperture priority. In the menu, you can find silent mode. This not only means that you can keep the Panasonic Lumix DC-TZ90 quiet in locations such as churches, it also has an impact on shutter speeds you can use. When in silent mode, the electronic shutter allows for speeds of up to 1/16000 of a second. That’s really useful when trying to freeze action, or to use reasonably wide apertures on bright sunny days. In silent mode, the longest you can shoot for is one second, but switching silent mode off will allow you to go back to shooting at the maximum length of four seconds. You can charge the Panasonic Lumix DC-TZ90 via the port on the right hand side of the camera. You don’t need to remove the battery from the camera to charge it, which could be useful when travelling as you can give it an extra boost from a USB cable attached to a computer or portable battery pack, rather than having to find a dedicated charger. A small viewfinder is found in the top left hand corner of the back of the TZ90. There’s a sensor which automatically detects when the camera has been lifted to your eye to switch the finder on (and the screen off). It makes for a fluid way of working, and although the viewfinder is very small, it can be useful if bright sunshine prevents you from using the screen. 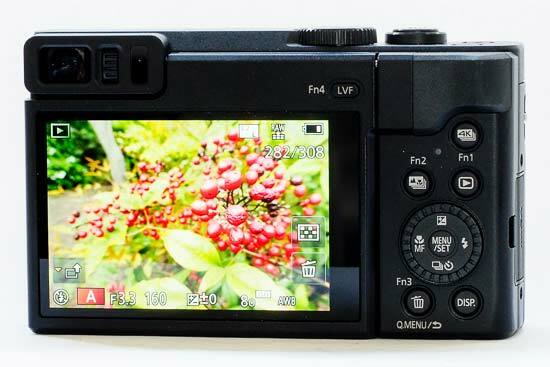 As with most other Panasonic cameras, the TZ90’s screen is touch-sensitive. You can use it to set the AF point, which you can continue to use while using the viewfinder if you have TouchPad AF enabled in the main menu. The touch-sensitivity also expands to swiping through images, and changing settings within both the main and the quick menu. 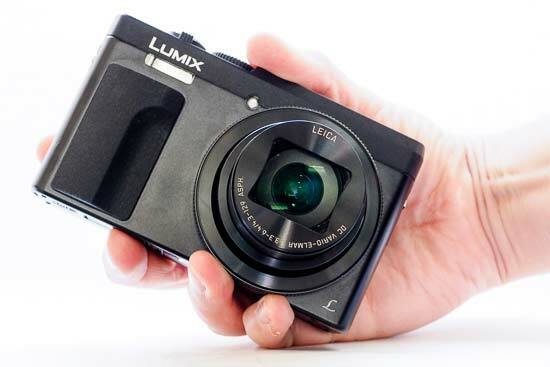 Aside from the already mentioned start-up time, the Panasonic Lumix DC-TZ90 is a quick camera to use. Autofocus is swift, dropping only slightly when light levels are on the dark side. Tracking focus copes reasonably well with moving subjects providing they aren’t too rapid. Scrolling through images and moving through the menus is also very quick.